"Well, first of all, I would say, based on 27 years in CIA and four and a half years in this job, most governments lie to each other. That's the way business gets done." 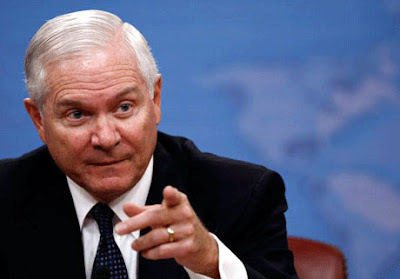 That was Defense Secretary Robert Gates' straight talk in response to the phony outrage by Senator Patrick Leahy on the news of Pakistan arresting 5 CIA informants following Osama bin Laden's killing by US Navy Seals in Abbotabad. Outgoing Secretary Gates is clearly not a politician. He does not share the basic consensus among mainstream US politicians and media about American exceptionalism which gives them a broad license to criticize and denigrate others for some of the same or worse transgressions(or accomplishments) that the Americans are themselves guilty (or proud) of. "There is only one thing more dangerous than being America's enemy; it's being an American ally". With the recent series of extraordinary humiliations inflicted by Obama administration on their Pakistani allies, I think the current Pakistani leadership can wholeheartedly attest to Dr. Kissinger's enduring assertion. Please make no mistake and think Pakistan is doing a good job. It is both a supporter and enemy of militants - it will support militants who cause mayhem in Afghanistan, India and elsewhere while fighting them inside Pakistan. The root and the trunk of miltancy is based in Pakistan while the branches grow all over! Pakistan’s army chief, the most powerful man in the country, is fighting to save his position in the face of seething anger from top generals and junior officers since the American raid that killed Osama bin Laden, according to Pakistani officials and people who have met the chief in recent weeks. "Pakistan has rounded up more than 30 people as part of the investigation about the Osama bin Laden compound," Haqqani said. "As far as the concern that there are people amongst the people that we have rounded up who are informants for the CIA, we will deal with them as we would deal with a friendly intelligence service, and we will resolve this to the satisfaction of our friends, as well as to our own laws." Haqqani said the government took such action to get a better grasp of the operation's details. "No one has been punished," Haqqani said. "Basically this is an exercise in trying to find out what has happened." The Pakistani Ambassador maintained that Pakistani intelligence aided in the capture and killing of bin Laden, and assured that both the U.S. and Pakistani militaries are making the capture of the newly-named head of al Qaeda Ayman al-Zawihiri a top priority. "The U.S side and Pakistan are working together on any information that any side has," Haqqani said. "Whatever we do, we will do jointly." Pakistan's military spokesman confirmed to the BBC that Brigadier Ali Khan was being interrogated by the country's military intelligence unit. Pakistan has banned a number of groups in recent years for supporting militancy and encouraging extremism. Brig Ali, who is based at military headquarters, was held last month and his family told he would be home soon. "Yes, that's correct that he is under detention and an investigation is in progress for his contacts with a proscribed organisation," Maj Gen Athar Abbas told BBC Urdu's Asif Farooqi. He did not provide any more details about the nature of the alleged contact or the organisation the brigadier is accused of being in touch with. "Any more details at this point in time may affect our investigation process," Gen Abbas said. This is not the first time allegations have been made about links between elements in Pakistan's military and banned organisations, including militant groups. At least two army officers were court martialled last year for links with the banned Hizb ut-Tahrir group. In 2004 several low-ranking military personnel were convicted in connection with attempts on the life of former President Pervez Musharraf. Last week, Pakistan's military denied that a major was among several people who had been detained accused of being CIA informants and passing on information which helped the US track down and kill al-Qaeda leader Osama Bin Laden. The narrative in a number of recent books by authors like TV Paul, Carlotta Gall and Husain Haqqani needs to be challenged through Q&As. 1. Pakistan has been lying to the United States to get aid since its inception in 1947. 2. 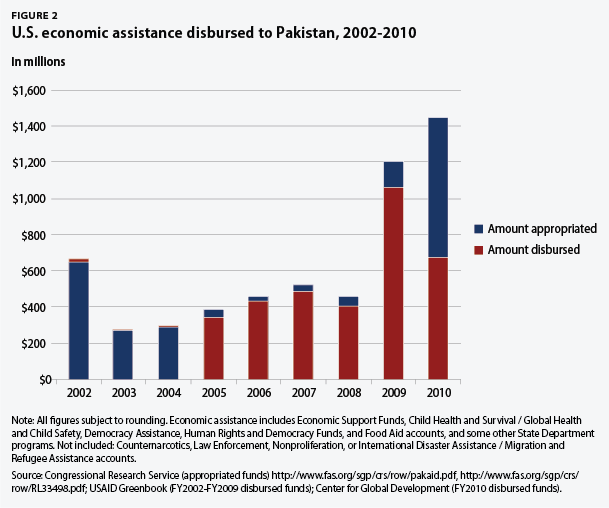 The US has provided massive aid but Pakistan has not delivered anything substantial in return. 3. The duplicitous Pakistan game continues to this day. If you really analyse this narrative, you have to conclude that Pakistanis are uniquely clever in deceiving the superpower US and its highly sophisticated policymakers who have been taken for a ride by Pakistanis for over 6 decades. 1. If the standard western narrative is correct, why have successive US administrations been so gullible as to be duped by Pakistan's politicians and generals for such a long period of time? Is it an indictment of all US administrations from Truman to Obama? 2. What role did Pakistan play in the defeat of the Soviet Union in Afghanistan and the subsequent break-up of the Soviet Union? 3. What price has Pakistan paid for facilitating US military operations in Afghanistan? How many Pakistani soldiers and civilians have lost their lives since 911? Bottom Line: Alliance never means compliance...it's true of all US allies. 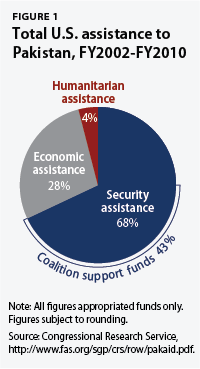 US and its closest allies in Europe and elsewhere interests do not always converge on all issues. Israeli officials denied spying directly on U.S. negotiators and said they received their information through other means, including close surveillance of Iranian leaders receiving the latest U.S. and European offers. European officials, particularly the French, also have been more transparent with Israel about the closed-door discussions than the Americans, Israeli and U.S. officials said. Congressional aides and Israeli officials now say Israel’s coalition in Congress is short the votes needed to pass legislation that could overcome a presidential veto, although that could change. In response, Israeli officials said, Mr. Netanyahu was pursuing other ways to pressure the White House. This week, Mr. Netanyahu sent a delegation to France, which has been more closely aligned with Israel on the nuclear talks and which could throw obstacles in Mr. Obama’s way before a deal is signed. The Obama administration, meanwhile, is stepping up its outreach to Paris to blunt the Israeli push. I’m relieved that the nightmare of Jonathan Pollard’s imprisonment is about to be over. Not because I feel any sympathy whatsoever for the convicted spy who will be paroled in November after spending 30 years in prison. No, what relieves me is that, once he’s freed, we’ll be spared the spectacle of respectable American Jewish leaders calling for his early release. Those requests have been harmful to the principle that American Jews can be totally loyal Americans and also care about Israel. The end of this whole shameful episode is therefore cause not for celebration, but for relief. Even at this distance of time, it remains stunning to me that anyone outside Israel would think Pollard was unfairly treated. Those who advocated the release of the former Navy analyst advanced a variety of reasons. The most significant and consistent argument was that Pollard had been the victim of a U.S. government deception: First the Department of Justice told him they would seek something less than a life sentence. Then the secretary of defense, Caspar Weinberger, wrote a letter to the sentencing judge asking for the maximum sentence on the grounds that Pollard’s stolen secrets had badly damaged the country’s security. It’s hard to imagine anyone less well placed to complain about a government trick than a person who deceived that very government, his employer to whom he had sworn an oath of loyalty. Even if the government’s approach was sneaky, it pales next to Pollard’s actions. Then there’s Pollard’s refusal to disclose all the information he had stolen, to say nothing of the distinct probability that some of what he passed to Israel was then traded to the Soviets at the height of the Cold War. It’s one thing for Israeli government officials like Benjamin Netanyahu to seek Pollard’s release. After all, Netanyahu has no duty of loyalty to the U.S. except for what one might expect from a close ally. Publicly asking for clemency for the Israeli spy might have been damaging to the country’s credibility, but it was good domestic politics for Netanyahu and no doubt pleased the Israeli intelligence community. Yet for anyone holding a U.S. passport to seek Pollard’s release was, in my view, a serious moral and political error. American Jews have, for the most part, successfully managed to show their fellow citizens that while they support and often love Israel, they’re also profoundly loyal to their own country. Before you get upset and say there’s no reason Jewish Americans should have to prove their loyalty any more than other Americans, let me state categorically that I would hold other American ethnic groups to precisely the same standard. It’s perfectly natural to feel attachment to another nation in association with your religion, ethnicity or birthplace. Yet sometimes, that nation’s interests will conflict with that of the U.S. Israel is no exception to this reality, no matter how close an ally it may be. And when an American spies on the U.S. for Israel, that’s the clearest possible case of conflicting loyalty. A loyal American should -- must -- react to such a betrayal with horror. It shouldn’t matter what the ethnicity of the spy is. But the ethnicity of the person seeking his release does matter. For American Jews to ask that Pollard’s sentence be shortened is to call into question the capacity of all American Jews to remain loyal to their country when the possibility of conflict arises.